Earlier this year, we let you guys know how robust and dynamic the soundtrack for this year’s NBA2K16 is, but it looks like that’s not the only element in the basketball simulation game that can be curated by gamers. In the new PROAM feature of 2K, you can take the online gaming experience to new heights. 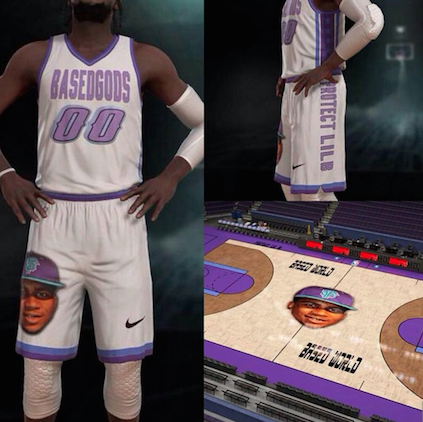 Not only can you and your homies create the ultimate squad to take on all-comers you can also design custom jerseys with just about any graphics or images that you can think of. Take a look below at some of what we found below and stay tuned for what else pops up, as the 2015-2016 NBA season gets underway.